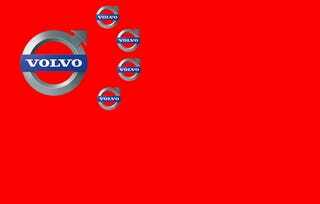 Will Volvo Turn Us Into the Next "Manchurian Candidate" ? Recently I published a post called, "Since When Does Sweden Make the Coolest Cars?" I wasn't totally serious that Sweden makes the "coolest" cars but I did find it interesting that the two vehicles currently obsessed by Jalopnik staff and readers both happen to be Swedish. Could this obsession be a clue to a larger conspiracy? What if Jalops were unwilling agents in an automotive scheme? Since When Does Sweden Make The Coolest Cars? In the comments a few astute readers brought up Volvo's Chinese ownership by Geely Automobile Holdings. Some of folks even raised suspicions about Geely's intentions in the US market. And that got me thinking, what if Volvo's resurgence is part of some master plan for China infiltrate the American car market? In the 1962 John Frankenheimer classic, "The Manchurian Candidate" (also remade in 2004), American war hero Raymond Shaw, played by Frank Sinatra, is brainwashed into becoming a tool of a Communist conspiracy to assassinate the president. The conspirators use a "trigger" image to essentially turn Shaw into their own weapon. What does this have to do with cars? Let's dig a little deeper...brainwashing often involves a manipulation of the subconscious by means of some weakness. It would seem "they" know our weakness quite well…. So we say, "Yeah they are pretty good they are like a less expensive of Volvo." For most consumers, Volvo = safety, therefore, Geely must be safe. The trigger has been pulled. The preceding scenario was pure ridiculousness so hopefully you kept reading before jumping to the comments. The reality is Chinese ownership of Volvo is probably the best thing to happen to the company in a long time. While Geely Automobile Holding does provide the financial backing, Volvo is still a Swedish car-maker. America has become over-saturated with Chinese products (I bet you are wearing and using a few right now); our sacred automobile seems to be the last line of defense against the invasion. But ask yourself this...what do you feel more comfortable with- a Chinese company who makes their product in Sweden or an American company who makes their product in China?